There’s a theory in horror filmmaking that we should never know too much about what’s trying to kill our heroes on screen. Michael Myers was an intimidating presence in John Carpenter’s Halloween because he killed people for no rhyme or reason. Freddy Krueger was an analogy for “the sins of the father” and that’s all we needed to know. Jason Voorhees was a tortured Momma’s Boy who wanted revenge on the camp counsellors that ignored him as a child. Leatherface is merely a product of a psychopathic upbringing; a victim of nature versus nurture. Did we need to see or know any more than that? Well, Inside‘s Alexandre Bustillo & Julien Maury certainly seem to think so. Which is why we have the pretty dull and meaningless Leatherface on our hands. Like Rob Zombie’s remake of Halloween, Leatherface – the second attempt to retcon an origin story for the chainsaw lover – takes us back into the character’s teenage years to get to the bottom of why he loves slicing up people with a motorised saw and wear their faces as a mask. We see a young and innocent Jed being forced by his overbearing Mother (Lily Taylor) – along with his brothers and grandfather – to try kill a thief who tried to steal their farm’s pigs with the chainsaw he got for his birthday. He refuses (he’s a good guy deep down, you see), but through a death caused by his siblings, Jed is taken away from his family and put in a mental facility where he stays until his teenage years. When a riot breaks out, several patients escape along with ‘first day on the job’ nurse Lizzie (Vanessa Grasse). With the Halloween remake (which is probably the best comparative example), Rob Zombie wanted to show another side to the Michael character. He did have a terrible upbringing, but Zombie put part of blame onto Loomis – a theme that’s further expanded upon in the unwatchable sequel. It attempted to look into the nature of mental health: did Loomis make Michael worse by constantly probing him? You can argue whether Zombie succeeded or not, but the attempt was there. Leatherface, however, doesn’t really have anything close to that. In fact, if you removed the beginning and ending of the movie, there’s very little Texas Chainsaw Massacre about the film. 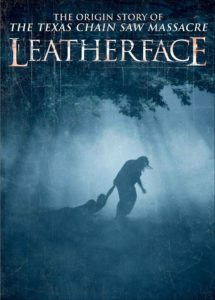 Leatherface is an average Hillbilly Horror that’s hampered by the need to tie it into an existing franchise. Credit to Seth M. Sherwood’s script, though, as the film does create a whodunnit with who Leatherface truly is. All of the kids who are put into the hospital have had their names changed, so Jed could be Sam Strike’s Jackson, Sam Coleman’s Bud or James Bloor’s Ike. It’s a nice idea, but it’s also telegraphed pretty easily. For some reason Bustillo and Maury put too many visual clues as to who won’t end up as Leatherface that a simple process of elimination will lead you to your conclusion way before the film reaches its climax. Because the film isn’t trying to make you hate or be scared of Leatherface, we instead get Stephen Dorff’s sheriff as the main antagonist. Dorff is given a thankless role here, but he does very well with the material, as does Taylor as the matriarch of the Texas Chainsaw family. Grasse is the film’s shining star, bringing sweet and innocent to the table while also drawing you in when she’s scared and alone. Iron Fist‘s Finn Jones is also there, and like in Iron Fist he’s an almost forgettable presence. All in all, the performances in Leatherface are mostly solid but hardly groundbreaking or exciting. Some stories just don’t need telling, and Leatherface is one of them. 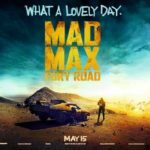 It’s not that it retcons elements of the Texas Chainsaw Massacre mythology, or that it’s a ‘pointless prequel’ – it’s just an empty movie. You’ll have forgotten you’ve seen it as soon as the credits roll. Prequels, sequels and remakes can all enrich a story and tell it from a new perspective, but Leatherface just doesn’t do that. With Bustillo and Maury being involved in developing Hellraiser, Nightmare on Elm Street and Friday the 13th movies in the last few years they clearly have a love for horror franchises, but that doesn’t really come across in Leatherface. It’s fine at best and dull at worst. Had this just been a run-of-the-mill Hillbilly Horror, Leatherface might have been judged better. I just saw it its a good movie but not needed but not bad easily one of the best of the franchise.I thought it was as good as the remake an close to part 2.